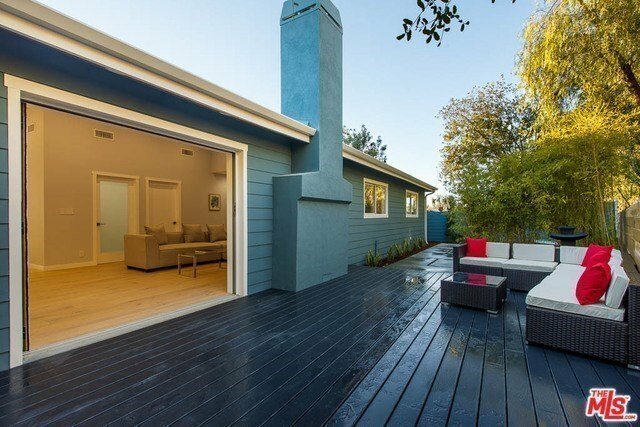 This exquisite & tasteful mid-century modern home is essentially considered new construction. Architectural drawings and permits pulled to convert what was once a 3BR/2BA into a 4BR 2 3/4 BA, meaning the house was completely stripped down to the framing, layout was changed, ceilings were vaulted and everything is brand new or updated. No expense was spared. Owners built as if they were living here. As you drive up, the curb appeal is undeniable, with a unique cedar siding as the focal point, Hardie lap surrounding it and thoughtfully designed drought resistant landscaping. As you open the enlarged front door, you are greeted by vaulted ceilings, luxury hardwood oak floors and a breathtaking sliding glass pocket door that beckons you to the outdoor patio with trex decking, custom pavers and more. The state of the art kitchen features the hottest new style of porcelain countertops and custom shaker cabinets. Wait till you see the rest of the house! The features are much too long to list!